In GodQuest, authors Sean McDowell and Stan Jantz present six 'signposts' that will guide you along your spiritual journey. The signposts include truths and compelling evidence on the topics of God, creation, the Bible, the identity of Jesus, the problem of suffering, and the path to heaven. 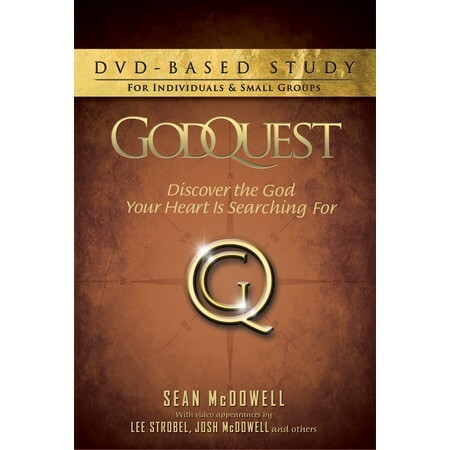 GodQuest will help you explore the truth of Christianity in a way that is intriguing, relevant, and easy to understand. If you don t already know God, the signposts you encounter during the GodQuest will help you find Him and experience a relationship that will change your life. If you already have a relationship with God, these signposts will draw you closer to Him and help keep you on the right path in life. No matter where each one of us is on our spiritual journey, we can all use some help along the way.